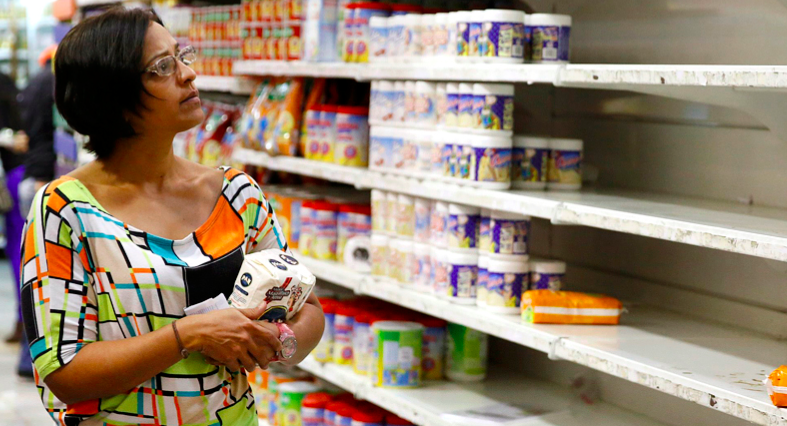 Venezuela has faced shortages for months. Does it now face default? Things are not going well in the Bolivarian Republic. Inflation is skyrocketing, shortages abound and now there is even a shortage of the one thing that kept the spirits of so many men up in this beleaguered country — breast implants. However the most pressing concern in Venezuela right now is not DD, but rather default, which continues to be the key issue I get asked about by fund managers on investor trips to meet us and others in Venezuela. Venezuela has US$ 4.5 billion in bond maturities coming due next month. With interest included, this means that the country has to pay a total of about US$7 billion through the end of the year. Last month alone, Venezuela had to pay US$ 732.5 million in interest payments. That doesn’t leave a lot of money for other things, including medicine, hospitals, doctors, and food, much less silicone. The second problem for Venezuela is its ability to pay. While the conventional wisdom from all of Venezuela President Hugo Chavez’s bluster over his 15-year rule – and the oft-repeated statistic that Venezuela has the largest oil reserves in the world – was that Venezuela is swimming in petrodollars. That is not actually the case. Venezuela has proven unable to capitalize on its huge oil reserves to increase production. In fact, production has fallen during the last 15 years. In 2013, Venezuela exported just 1.7 million barrels per day of crude oil and petroleum products, down from 3.1 million barrels per day in 1997. Of that 1.7 million barrels per day, Venezuela gives at least 100,000 barrels away to Cuba for free along with another 150,000 to 250,000 barrels at half-price to PetroCaribe countries. Furthermore, of the 650,000 barrels sent daily to China, Venezuela only receives revenue on about 200,000. The other 450,000 are used to pay back US$ 50 billion in loans that China has already made to Venezuela, and that the Venezuelan government has already spent. So, in the end, Venezuela only gets revenue from the remaining 200,000 barrels it sells to China, the 800,000 barrels it sells to the USA, and the 100,000 to 200,000 barrels it sells to India or on the spot market. At last week’s price of US$ 90.19, Venezuela thus receives just over US$ 135 million per day, which is roughly US$ 4.06 billion per month. That is nothing to shake a stick at, but remember that Venezuela must pay off US$ 4.5 billion in maturities next month in addition to interest on US$ 83 billion in PDVSA and sovereign debt. All told, between now and the end of the year, Venezuela has to pay about US$ 7 billion in interest and maturities – in other words, almost half of the money it will realize from oil sales in that time frame, before even paying foreign oil partners, the 100,000 PDVSA workers, millions of government employees, much less providing dollars for all of their imports. Previous PDVSA head and oil minister Rafael Ramirez understood the mechanism and importance of paying bondholders. But we do not have the confidence that the new Economic Vice President and Finance Minister General Rodolfo Clemente Marco Torres has either the wealth of experience or even an in-depth understanding of finance. We just don’t know what he will do. 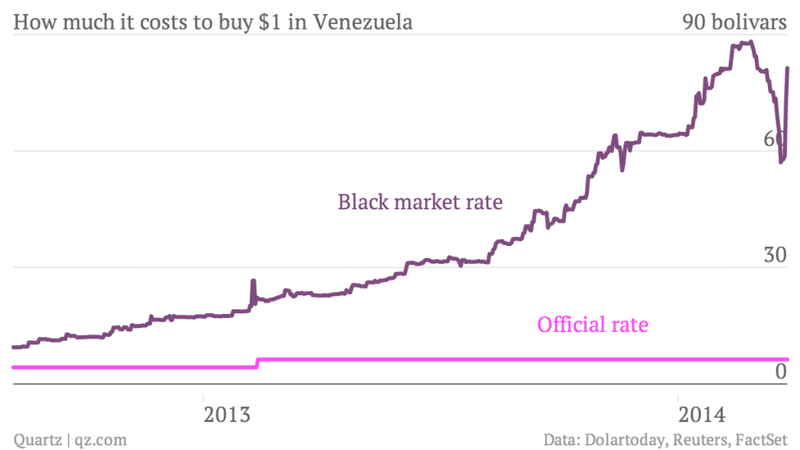 Meanwhile, the shortage of dollars has pushed the greenback’s black market value to 98 bolivars just as Venezuela’s oil price hits a three-year low– meaning even less dollars are flowing into the country. So what is President Nicolas Maduro’s strategy to address these issues? First, his government signed a treaty to make sure that there is no double taxation with that major trading power Palestine. Then they shut down the border with Colombia at night. Finally, they started rationing staples in the supermarkets using fingerprint-scanners to control purchases. 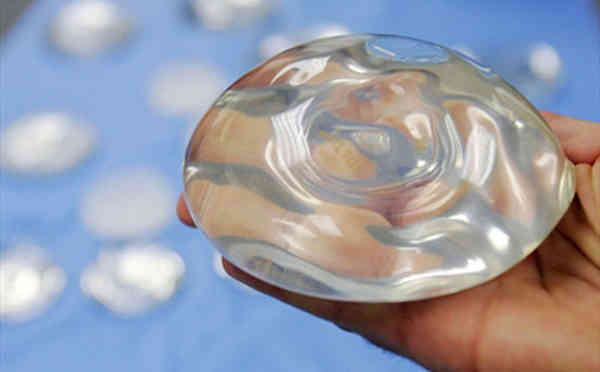 I think that I speak for all concerned when I say that I hope that the Venezuelan government does not deal with the breast implant shortage in the same way they are dealing with all the other shortages – limiting customers to just one. Russ Dallen is a financial expert and journalist. He is the Managing Director of Caracas Capital Markets and Editor-in-Chief of the Latin American Herald Tribune. To receive the Caracas Capital weekly report contact RMDallen@CaracasCapital.com. This entry was posted in Andean Region, Caribbean, Uncategorized and tagged Default, Latin America blog, Russ Dallen, Venezuela. Bookmark the permalink.